Who will win Islamabad’s NA-53? ISLAMABAD: As the General Elections 2018 draw near, all eyes are fixed on Islamabad’s NA-53 constituency where former prime minister Shahid Khaqan Abbasi and Pakistan Tehreek-e-Insaf (PTI) Imran Khan are to face each other in a tough contest on July 25. The constituency, which has been carved out of previous NA-48, mostly consists of posh urban areas of the federal capital including sectors E-7, F-7, G-7, G-8, G-9, H-8, H-9, I-8, and I-9. However, some rural areas like Bhara Kahu, Banigala, Bari Imam, Mohra Nur, Phulgran, Suhan, Chattar, Shehzad Town and Lakhwal also fall in the constituency. An estimated 670,683 people live in NA-53 where a majority of the populace comes from various ethnic and linguistic backgrounds. 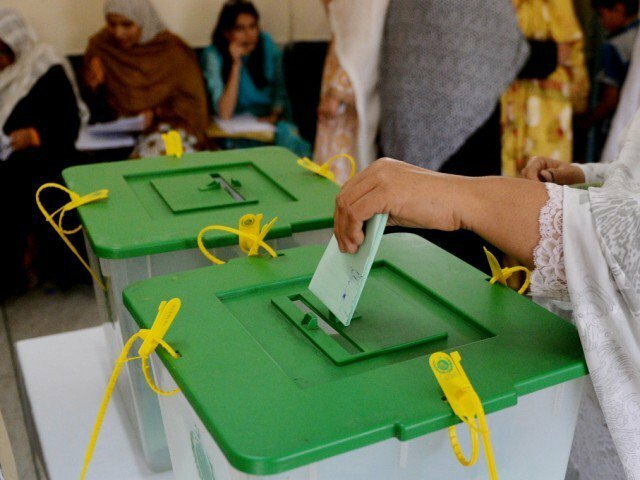 A total of 325 polling stations will be set up in this constituency with 1,104 polling booths where 312,143 registered voters would cast their votes. While the rural areas are dominated by Gujjar, Pashtun, Awan, Abbasi and Syed clans, the urban areas are more diverse in nature. A significant population belongs to the Christian community as well which can make a huge difference if they choose to vote as a bloc, as the number of registered Christian voters living across NA-53 stands at around 22,000. Besides Imran Khan and Shahid Khaqan Abbasi, Pakistan People’s Party’s (PPP) Syed Sibtul Haider Bokhari, Muttahida Majlis-e-Amal’s (MMA) Mian Mohammad Aslam, Ayesha Gulalai of PTI-G, Mohammad Amjad of All Pakistan Muslim League (APML), Ammar Rasheed of Awami Workers Party (AWP) and others, among a total of over 60 candidates are in the run for NA-53. In 2013 by-elections held for NA-48, Asad Umar of PTI won the contest bagging 48,073 votes against Chaudhry Ashraf Gujjar of PML-N, who had secured 41, 186 votes. Gujjar has recently joined PTI and has been actively participating in Imran Khan’s campaign. Shahid Khaqan Abbasi has the support of traditionally ideological league members and is also expected to attract votes from the Abbasi clan. 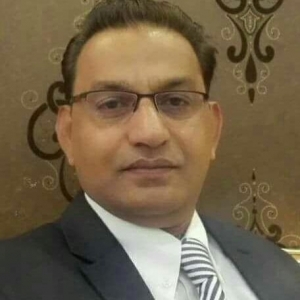 On the other hand, PPP’s Syed Sibtul Haider –brother of former Senate chairman Nayyar Hussain Bukhari – can also win a good number of votes as Nayyar Bokhari, as chairman of Senate, had initiated a number of development projects in the area. Imam Bari’s shrine also comes under the constituency. Mian Mohammad Aslam had won this constituency in 2002 from the platform of MMA and has the capacity to stun his opponents yet again. Though political pundits have observed that Aslam’s win in 2002 was a result of a specific environment following the US invasion of Afghanistan, there is a significant vote bank linked to religious seminaries in the constituency including Laal Masjid, Jamia Hafsa and others who may opt to vote for MMA’s nominee. PTI on the other hand had won the previous elections from most of the areas falling in the newly carved out NA-53, and bagged a similar victory in the local government elections two years later. Imran Khan’s campaign in charge Zulfi Bukhari said he was shocked to see the deteriorating conditions when he visited the slum areas of Christian community. “I could not sleep last night imagining that we have such slums only two kilometers away from the posh PM House. I have travelled around the globe but never seen such a level of ignorance towards people in the capital city. This is how the rulers in Pakistan have plagued this country,” he said. Bukhari said that whether Imran Khan comes to power or not, he would spend from his own pocket to improve the living conditions in the slum areas of Islamabad. “I am not a candidate for NA-53 but I am the eyes and ears of Imran Khan. I will resolve all these issues myself and you would see a total turnaround soon. I have lined up meetings with prominent pastors and bishops of the Christian community in the next few days for better communication,” he added. On the contrary, Shahid Khaqan Abbasi would try to get the votes from Abbasi clan living in rural Bhara Kahu and Chattar areas. The same areas also have a huge number of Pashtun voters living in and around Bhara Kahu who tend to vote for the PTI. Since Imran Khan himself is contesting, the Pashtun voters are likely to vote for him. The PTI leader got a political boost on Saturday when hundreds of prominent ulema and mashaikh announced their support for PTI at a congregation in the federal capital. The mashaikh had been invited by Pir of Golra Sharif Ghulam Nizamuddin Jami who asked his followers across country to vote for the PTI candidates. While no major public gathering was held in federal capital, PTI has taken out a number of rallies led by Zulfi Bukhari and Asad Umar. Being a constituency won by PTI, Imran Khan leads the race closely followed by PML-N’s Shahid Khaqan Abbasi and Sibtul Hassan Bokhari of the PPP.